Went here with a small group of friends for a private dinner on Tuesday night. The place could be a bit hard to find. It's in the middle of the street and in a basement, but don’t let the confined entrance waver you from stepping in and having a grand time. Bell Book & Candle (BB&C) has a snug yet rustic decor. It's an intimate space, dimly lit. After a long day, I especially appreciated the tranquil setting so we didn’t feel like we had to yell to talk to each other. BB&C revolves around homegrown, organic, sustainable and overall responsible procurement. The menu rotations are seasonal and heavily influenced on creations from the aeroponic roof-top tower garden. Finding muse in the regions of America and focusing on the modern aspect and range of the melting pot, BB&C's food strives for a component of innovation and uniqueness. Everything on the tasting menu were delectable, cooked just right, and full of flavor. No disappointments! The most outstanding dish, however, was definitely the “crab stuffed Montauk fluke” which came with sautéed spinach lemon seaweed butter sauce. I have now told all my friends about this dish which was the most delicious crab I have ever had. 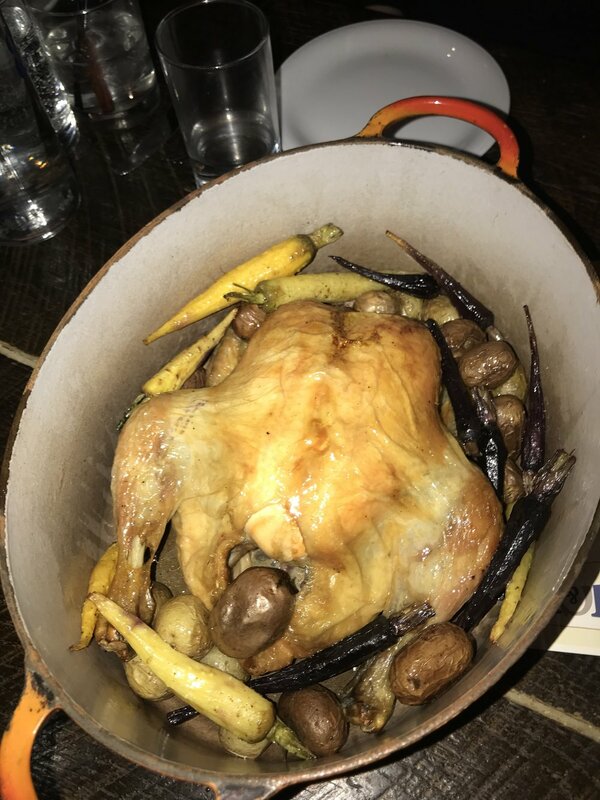 The main dish was the Chicken in a Pot – a whole roasted chicken with potatoes, carrots and chicken gravy. The chicken is served with skin, and is succulent. The rich and juicy gravy was the perfect compliment to the dish. Drinks were flowing all night. 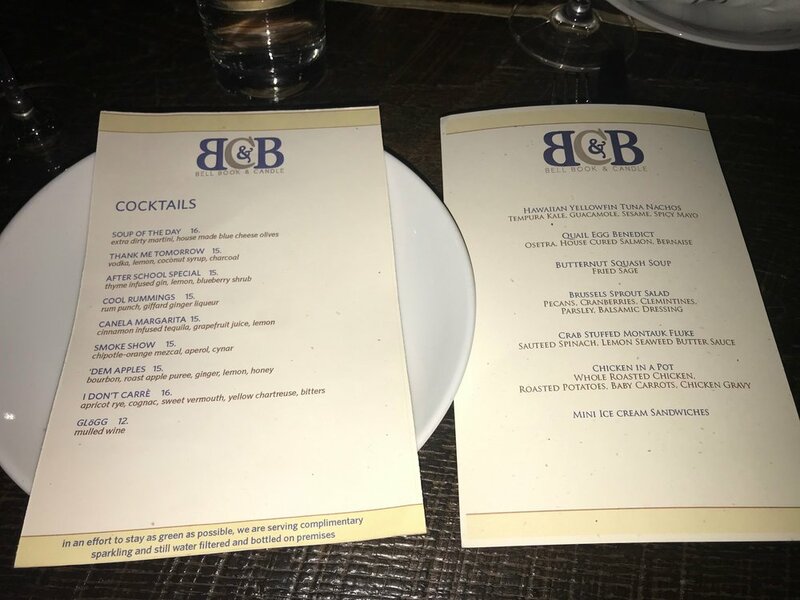 BB&C offers a list of classic American cocktails crafted with seasonal ingredients. The wine list features both American and international selections. Drinks are mostly $15 which is very reasonable for this area and experience. The cocktails are fantastically named and just as delicious. 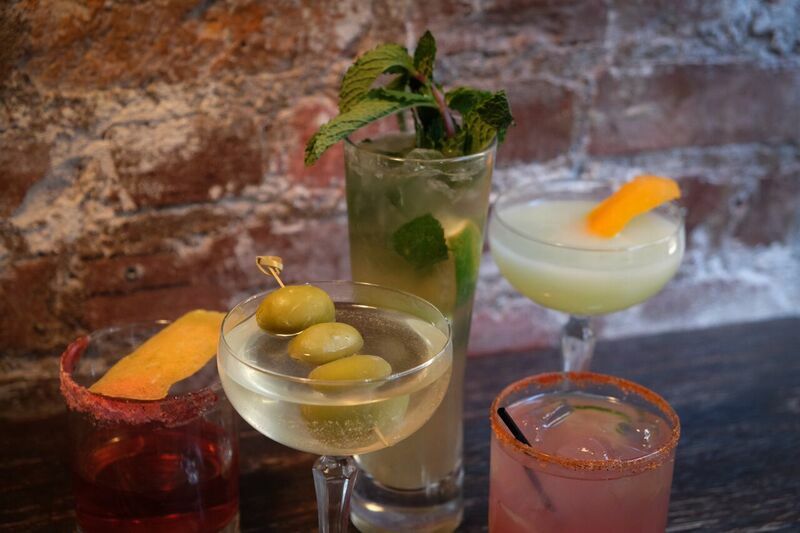 You can taste the careful thought and the personality of the bartender that goes into each drink. There is a great variety, however, I particularly enjoyed “Soup of the day” which was a brilliant concoction with extra dirty martini and house made blue cheese olives. The service was great, everyone was welcoming and worked as a team to make sure all was well taken care of. This probably will become one of my favorite restaurants in NYC, hands down one of the best in the west village, perfect for a date but also fun for a group dinner. And with the food changing seasonally, there is always a reason to go back. Bell Book & Candle is located at 141 W 10th Street. or more information or to make your reservation, please visit bbandcnyc.com and call 212.414.2355. BB&C is having specials for the Super bowl and Valentine’s day. Valentine's Day - 7-Course Vegan Tasting Menu in addition to a 7-Course Non-Vegan Tasting menu so that vegans and meat lovers alike can enjoy their very own individual tasting menus together, side by side. Executive Chef John Mooney will prepare Caramelized Tofu, Roasted Cauliflower Soup with Toasted Hazelnuts & Black Truffle and Spinach and Wild Mushroom Taco for the vegan menu. 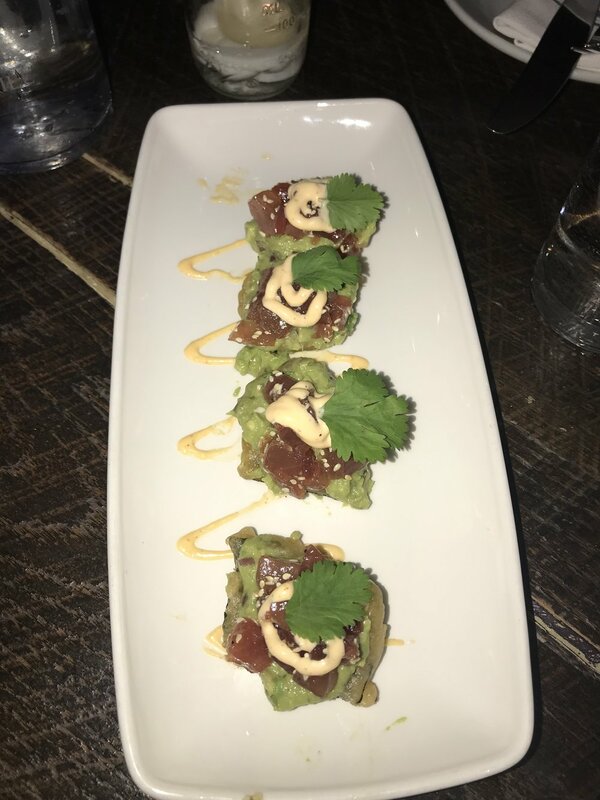 Non Vegan items include Surf & Turf with grass fed beef filet & Crab Stuffed Montauk Fluke with potato gratin, wilted spinach, and Old Bay butter, a Quail Egg Benedict with Osetra, house cured salmon and béarnaise as well as Lobster Tacos with tomatillo avocado salsa. Both menus are $75 per person or $200 per couple, which includes a bottle of Cremant de Bourgogne Brut. Super Bowl - Bell Book & Candle will offer an exclusive Super Bowl Sunday menu while guests watch the game on two 75" HD projectors complete with surround sound. Menu items include BB&C Smoked Whole Wings with Chipotle BBQ, blue cheese and hot sauce for $3 each, Drunken Bean Dip with goat cheese, tomato, and grilled flatbread for $10 and a BB&C Patty Melt Burger with grilled onions, vintage cheddar and rooftop pickles for $17.